This version is for CorelDraw 2019 only. 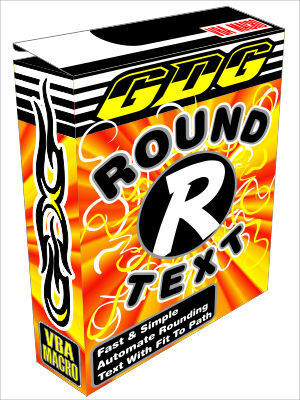 This is a quick and easy way to Round text above and below a shape or circle. It also has presets that can be saved. Type a single or couple lines of text and you can curve it above and below a shape or circle. The text that is highest on the page will be placed on the top automatically. This macro curves text nicely around shapes. Other options include distance setting, quick select for the finalized effects and paths, auto delete path leaving only the text, option to leave it as an editable effect, and inner, center, outer placement. Includes 4 icons and 8 presets can also be assigned to shortcut keys! New: Includes separate macro round text top and bottom. Very quickly put an upper or lower curving arch on a selected text item. I use these macros myself, daily!